Time consuming as it may be, tracking the occurrence of a surname overtime in a particular locale can actually be extremely helpful. We want to get to know the nearby families that share the name of our ancestor, especially if they live in the same town, because their records may very well be able to lead us further back in our family trees. If you see two families with the same surname living on the same street, there’s no question you should investigate who the neighboring family is. I have studied several Irish surnames in Berkshire County, Massachusetts by collecting data from population schedules and created maps of how the name is distributed throughout the county. This technique is useful in studying large immigrant communities, but could be implemented in any genealogy case. About a year ago, I was researching a laborer named Owen Murphy from North Adams, Massachusetts. No records of Owen Murphy were able to identify parents, brothers, or cousins. All the evidence I had gathered gave the frustrating conclusion he was only born in Ireland. Research problems like these have existed an almost infinite number of times and many researchers would say your not going to find where Owen came from within the country of Ireland. Nevertheless, I made a conscious decision to not forfeit the pursuit and decided I would research every other Murphy family within the county and neighboring counties for an answer or even a clue. Based on how common the name Murphy is, it’s no surprise that familysearch.org retrieved 1200 results for Murphy in Berkshire County, Massachusetts records, 1850-1900. I was left with the task of abstracting all these names, by no means a short task and at times tedious. I abstracted the information into an excel document with headings for each of the census columns. The next step was to create visual representations of the data. I would suggest finding a county map online or in a book that has town borders outlined A Guide to Berkshire County Massachusetts had a perfect example of this and from here a color-coded legend was created to represent how many Murphy families lived in each other. This results in a better comparison and understanding of how the families moved around. Overtime industrious cities like Pittsfield and North Adams are home to the most Murphy families, while quainter villages like Sheffield are home to one or two. Most Murphy families have settled in the central and southern part of the county. Demographical information collected from the census in large quantities lends itself useful to migration studies. They are also evidence of historical trends and ethnic diversity in a community. Starting in 1850, census takers asked individuals to give the state or foreign country which they were born in. Abstracting and evaluating data from the census showed that Irish born males with the surname Murphy increased overtime from 1850 to 1900. If more Irish Murphy families are coming to settle in Western Massachusetts, are they relatives of people who settled there first? Chain migration occurs when a family or community over time leaves their home village to adopt a new community. In order to investigate this, we need to go into record groups that could provide the parish or town of origin and collect this information to see if there is a correlation. After gathering information about where the Murphy’s originated, it was clear they were not all coming from the same county in Ireland. Distribution of Murphy Surname, Berkshire County, Massachusetts. 1880 US Census. Population schedules recorded by the government, such as the U.S. Census, are often emphasized as go-to sources for family history research. This is because the demographical information provided in population schedules provide many pieces of evidence to discern if this person or family in the census actually belongs in their family tree. The various questions such as name, age, residence, birthplace, occupation, and family members can be evaluated and compared in adjacent census schedules to confirm their identity. Assuming that sources prove the family did in fact stay in the same area, those individuals who move elsewhere as indicated by their absence in the town’s schedule can be eliminated from the list of possible matches for the target ancestor. We as family historians need to be careful in presenting conclusions of identity. Is the person you are adding to your family tree in fact your ancestor? These kind of questions always need to be taken into consideration and can be more of a challenge with common surnames. Getting to know the surname in the area where you are looking can help to provide more definitive proof of the target ancestor’s identity. It is through doing this type of work for others that I’ve learned how valuable is and will need to implement the same strategies on certain branches of my own family tree. Thanks for the compliment and the link Jean, ill be sure to check it out. 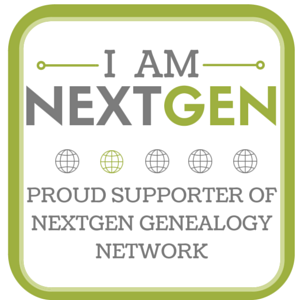 Happy to seek out new genealogy blogs and thanks for stopping by here to. The colors represent number of households with that surname. This is includes families and boarders in other household schedules as well. Thank you for your compliment. Who knew that Murphys were sea warriors! Hi Jake! Thanks for stopping by my blog at EdesOrban.com. This is an interesting post. Nice explanation of your process. One questions about your maps, what does your color scheme represent? Glad the post helped your research and thank you for following. Good post. I am looking for a missing link between Whitakers in Jackson County, TN, in the first have of the 19th Century. I started doing something like you describe above but after reading this understand I need to take more systematic approach. Thanks. I am researching the FLETCHER FAMILY. William Haywood Fletcher who married Martha Jane Maples. That is far as I have gone. Still working on it. Thanks for that link. I’ll take a look! Interesting, I wonder why so many chose the name Miller. Passenger lists are tricky and the challenge is compounded by misspellings and index errors. I’d try http://stephenmorse.org who has developed an excellent search engine for searching passenger lists if your not having luck. Very interesting, Jake! I too am struggling with the unbelievably common name of Miller. Oh, I found my relatives all right, in the Census records going up to 1940, as well as some other records. The women disappear though once they marry or once their husbands die. My problem is going back to the ship manifests. I can’t find them. There are multiple possibilities, but like you say, how do I know if these are really my relatives? Apparently it was common for Russian Jews to adopt the surname of Miller even before coming over, and that’s how they’re listed on the ship manifests. The exact dates on the Census records for when they came over vary, but at least it’s narrowed down to within a few years. Still, I’m not sure because their first names are also common, and there are other people with the same exact first and last names, as well as married couples where both spouses also have the same names! But I know they’re different people because of the children. Like you, I want to know WHERE exactly they came from. Russia back then meant the Russian Federation, which may not be Russia itself but the Ukraine or Belarus, for example. It is definitely a process, as you say!